Are you interested in a new Honda, but need something that fits your budget? 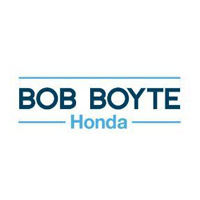 Bob Boyte Honda provides money-saving opportunities on fan favorites like the Honda Accord or Honda Civic with our deals of the month. Explore our inventory and what Honda you can get a deal on today! And after you take your Honda home, you can enjoy savings with every service appointment thanks to our service coupons and parts specials! Contact us at to learn more about our deals of the month, and other specials, at Bob Boyte Honda.